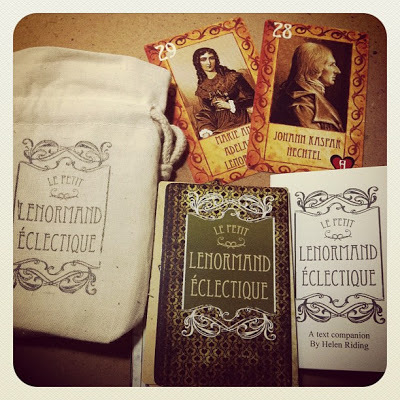 A Lenormand deck created by a Facebook group collaboration in 2012, coordinated by Carrie Paris. 36 cards in a cloth bag, with LWB written by Helen Riding. Never used.